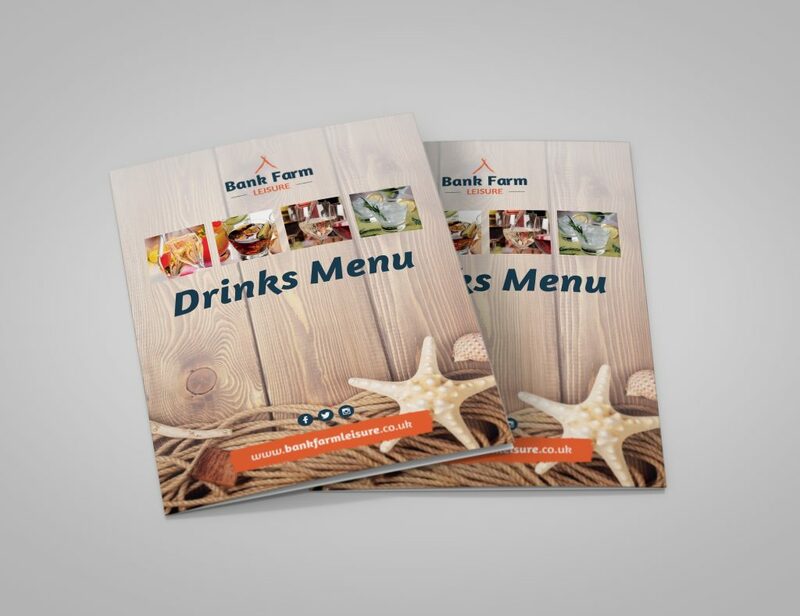 A lovely design for Bank Farm Leisure. 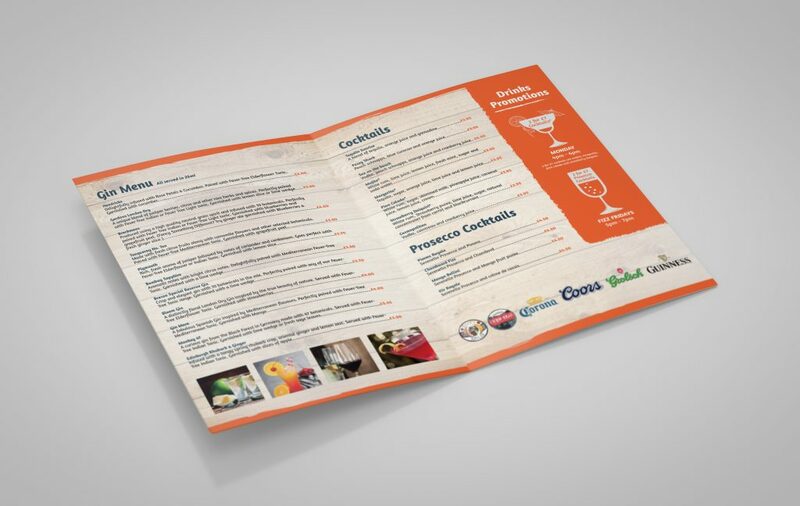 The drinks menu keeping with their brand throughout, also including some nice graphics within! 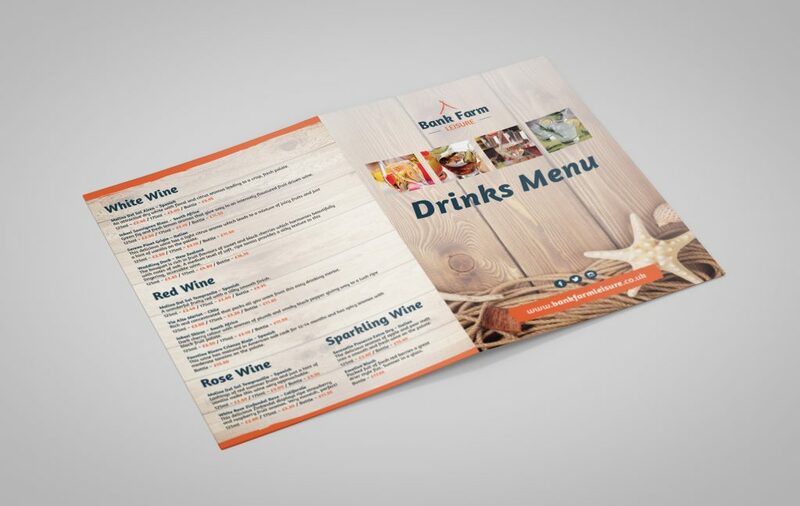 Printed on A3 card, folded to A4 and a matt lamination on both sides to help with durability!